Perfect for any monster or vampire that no one will ever forget. Unlike other products that fit like a mouthpiece, FX Fangs are veneer style fake teeth that cover only the front of your teeth. The thin veneer design keeps your speech natural. 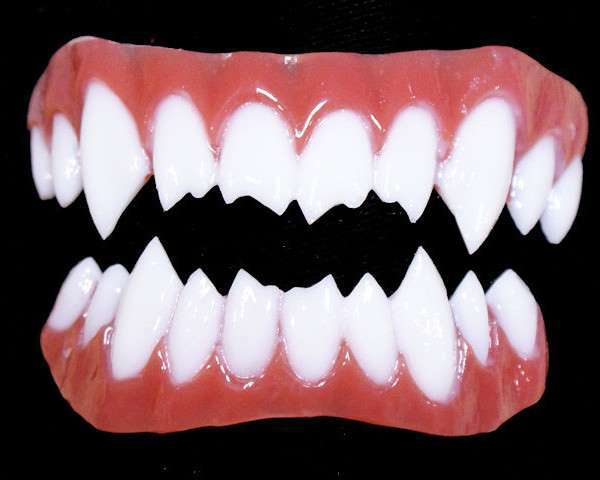 FX Fangs are made from a bio-compatible plastic and they're designed and created for hyper- Realistic look. Each set is stained by hand. No two sets are the same, just like real teeth! FX Fangs are flexible right out of the package! Not to be worn with braces.